ModDB is going beyond its role as a mod repository with a new initiative called Modularity – a publishing label aimed at helping bring mod-focused indie games to market. That means both games with mod support and projects borne out of mods for other titles, and the first title from the label is already available on Steam. That new game is Meeple Station, from the makers of Regions of Ruin. 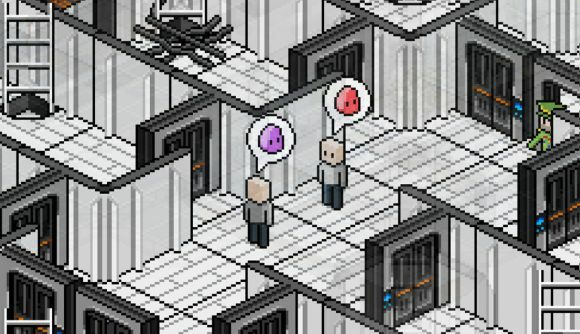 It’s a space station building sim which the developers compare to RimWorld, and it’s set to gestate in Early Access for the next six to nine months. During that time it’ll get a campaign, online co-op, and expanded modding features, though there’s already a “broad modding suite” available as-is. ModDB says you should expect more of that from the Modularity label. The announcement post points to a “focus on investing in and supporting games that are created by modders, inspired by mods, or have strong modding support themselves.” There’s no word just yet on what further titles will come out of Modularity, but there’s a submission form for interested developers on the official site. DBolical is the organisation tying ModDB and Modularity together, and its ranks also include IndieDB, and the Steam Workshop-style API, mod.io. So this intersection of mods and indies makes plenty of sense given the company’s broader focus. The mod community has spawned everything from PUBG to the myriad Skyrim mods keeping the game alive, so there’s a deep well of creativity for Modularity to pull from in picking out new games. Hopefully this initiative gives great titles a chance to shine.